These are the best of times and the worst of times in Singapore, the world’s only global city without a natural hinterland, whose prosperity and good governance are the envy of much of the world, and a model for others to follow. But while the city-state remains an alluring success story to much of the outside world, Singaporeans themselves are starting to question the long-term viability of their longstanding adherence to elite governance, meritocracy, the primacy of growth and state paternalism. The “Singapore consensus” that the People’s Action Party (PAP) government constructed and maintained in the last five decades is fraying, partly because many citizens perceive it to be outdated. The Singapore consensus has been underpinned by the notion of vulnerability — that because of its small size, lack of natural resources, ethnic and religious diversity, and geographic location in a potentially volatile region, the city-sized nation is inherently and immutably vulnerable. From the existentially anguished reality, a developmental belief system emerged. Its tenets include a strict academic meritocracy as the best way to sort talent; elite governance insulated from the short-termism and myopia of ordinary democratic pressures; the primacy of growth, delivered through a heavy dependence on foreign labour and capital; an acceptance of the need to equalise opportunities but not outcomes; and an indifference to inequality, as reflected in the state’s aversion to welfare. The Singapore consensus made possible impressive socioeconomic development for much of the past fifty years, when demographic and economic conditions were also far more favorable. Yet today many Singaporeans are contesting it. At first glance this might seem odd: Singapore has one of the highest per capita incomes in the world. But its economic success masks some uncomfortable truths about life in this city-state. Income and wealth inequalities in Singapore are among the highest in the developed world, while the cost of living has spiraled in recent years. For many of its residents, the country’s impressive material achievements have not translated into higher levels of happiness or well-being. In various surveys, Singaporeans are found to work some of the longest hours in the developed world and are described as one of the world’s least happy peoples. Almost three-quarters are afraid to get sick because of perceived high healthcare costs while more than half indicate they would emigrate if given the chance. In December 2013, Singapore had its first riot in 50 years – reflecting its inability (and possibly, unwillingness) to accommodate the more than one million low-skilled foreign workers in Singapore. Yet its economic model is still highly dependent on taking in increasing numbers of such workers as Singaporeans continue to shun and stigmatize menial jobs. Two years ago, low-wage mainland Chinese bus drivers, bereft of bargaining power, instigated Singapore’s first labor strike in twenty-six years. Meanwhile, economic pressures coupled with the lack of efforts at fostering integration have led to an uptick in racism and xenophobia, tarnishing Singapore’s reputation for openness and tolerance. A country the business community long admired for its stability and openness to foreign nationals and ideas is now witnessing pent-up tensions bubbling over from time to time. In many ways, Singapore is a victim of its own success. From the 1970s to 1990s, it developed from a manufacturing and trading hub to a global service and knowledge economy. In the process, a nascent, post-colonial misfit evolved into one of the world’s most well-governed states and dynamic economies. This rapid transformation, driven and engineered by the state, outpaced the ability of entrenched ideologies, policies and institutions to keep up. 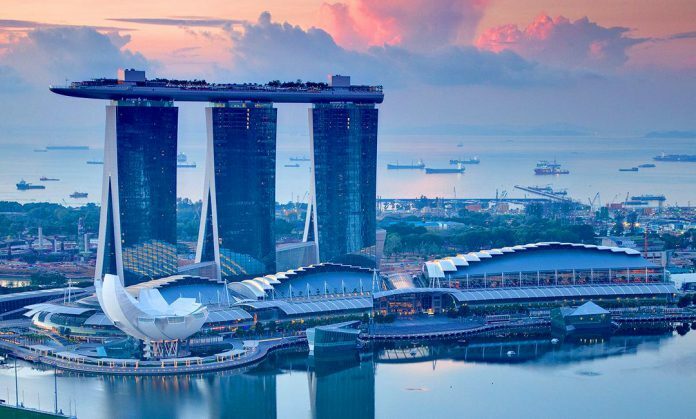 By failing to adapt to these new socioeconomic and political realities, Singapore has set the scene for a fierce clash between competing societal and political visions. At the same time, contradictions in the Singapore story are beginning to emerge. For instance, the government’s aspirations for Singapore to be an entrepreneurial and innovation-driven economy collide with the institutions, policies and practices that inhibit risk-taking, experimentation, collaboration, and egalitarian norms—all of which are critical for a creative economy. Singapore’s global city ambitions bump up against an emerging national identity. The nation faces an ideological quandary, as its own people question whether its strict academic meritocracy and the belief in the necessity of elite governance has also bred a narrow bureaucratic and political class that is increasingly out of touch with ordinary citizens. This has happened precisely as the electorate, increasingly weary of a sycophantic government-controlled national media, is seeking more mature engagement and debate about Singapore’s future. By failing to adapt to these new socioeconomic and political realities, Singapore has set the scene for a fierce clash between competing societal and political visions. The big question is how to forge a new consensus—which will involve, among other things, greater welfare and lower immigration—without swinging too far in the other direction, and without undermining the very efficiency and openness that made Singapore so successful in the first place. At the same time, an increasingly plural political scene is likely to offer voters greater choice about the balance they want to strike. In South Korea and Taiwan, the transition to full democracy was, initially at least, wrenching, socially divisive and politically destabilizing. But both countries managed eventually to amble towards stable, rule-based and competitive democratic systems. This, in turn, paved the way for the emergence of properly organized, collectively financed welfare states that enabled both countries to balance economic growth with social investments in areas such as healthcare, old age security and unemployment protection. Singapore’s transition is likely to be much less wrenching and destabilizing. First, the city-state is nowhere near as repressive as the (military) dictatorships in South Korea and Taiwan that ruled until the 1980s. Equally important is the fact that the vast majority of Singaporeans are homeowners. A home-owning society is far less likely to upset the apple cart of stability and prosperity. We think such fears are mostly misplaced. The contest in Singapore is less about basic political rights and freedoms. But neither is it just over “bread and butter” issues. Rather, it is a post-modern debate over people’s ability to determine what constitutes achievement and well-being. While a narrow focus on GDP growth and material prosperity helped to raise living standards early on, it has proven to be an incomplete barometer of success for Singaporeans. For businesses, investors and policymakers in Singapore, the days of easy political consensus, stability and insulation from short-term electoral demands are over. Having sacrificed over a generation to attain prosperity, Singaporeans are now wrestling with what comes next. This article first appeared in New America Foundation’s blog.